The fronds on the maidenhair grass shimmer in the sun. 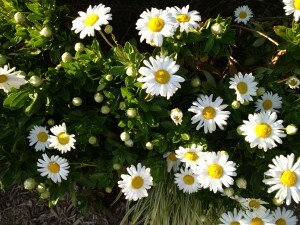 Here they are in closeup. 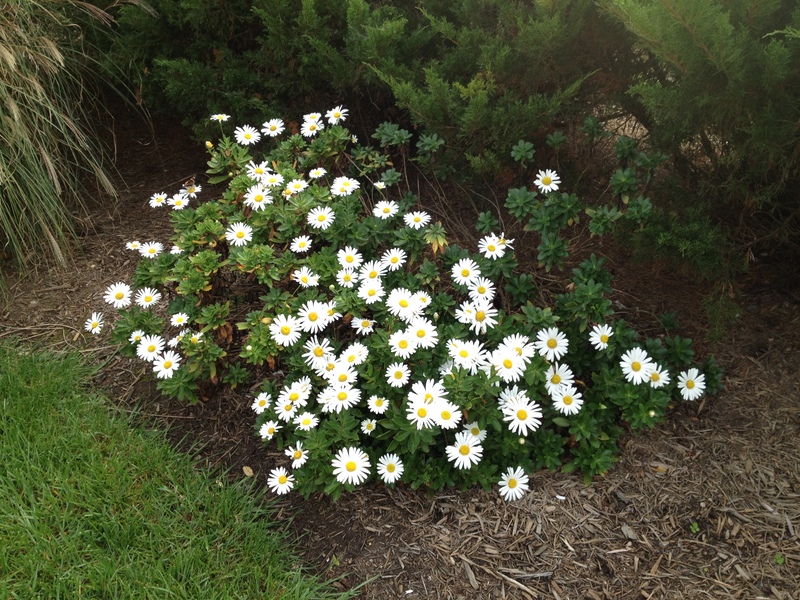 I love this variety because they bloom for so long. 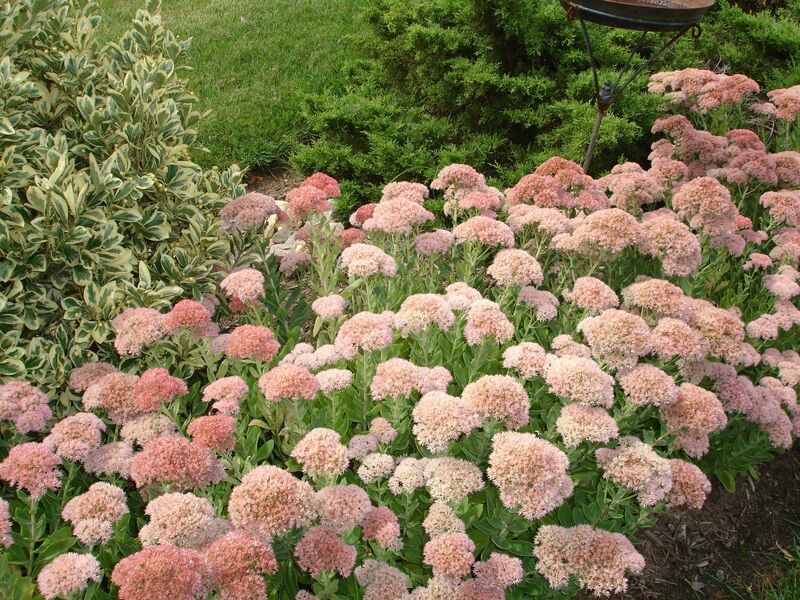 Sedum is a terrific plant, it is beautiful Spring to Fall, and is easy to divide and create lots of new plants. 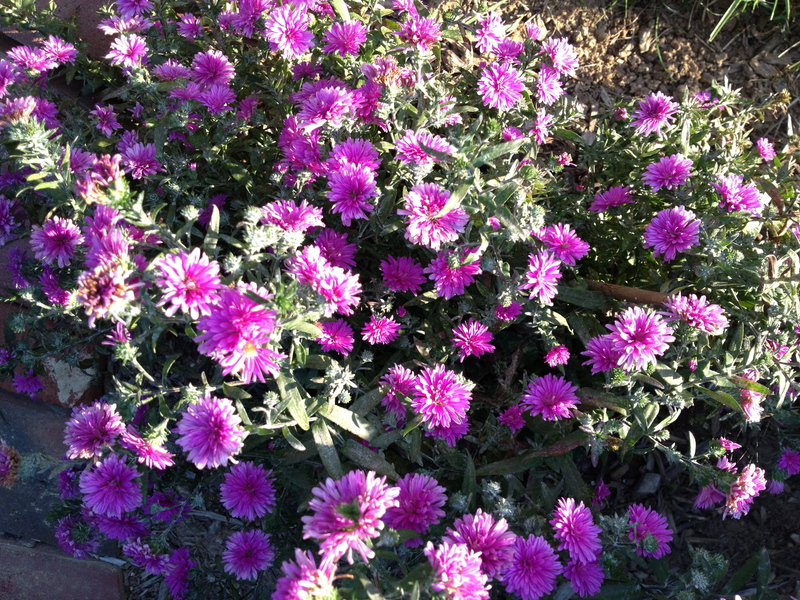 Aster is one of those eye-catchingly beautiful flowers that always looks perfect. 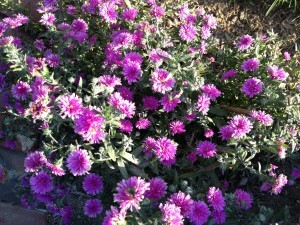 After enjoying them on the front porch last Fall, I planted them in the back yard. This year the are 3 times as big! 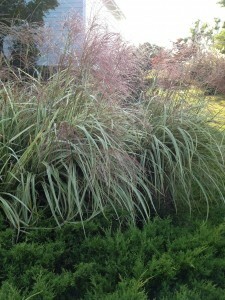 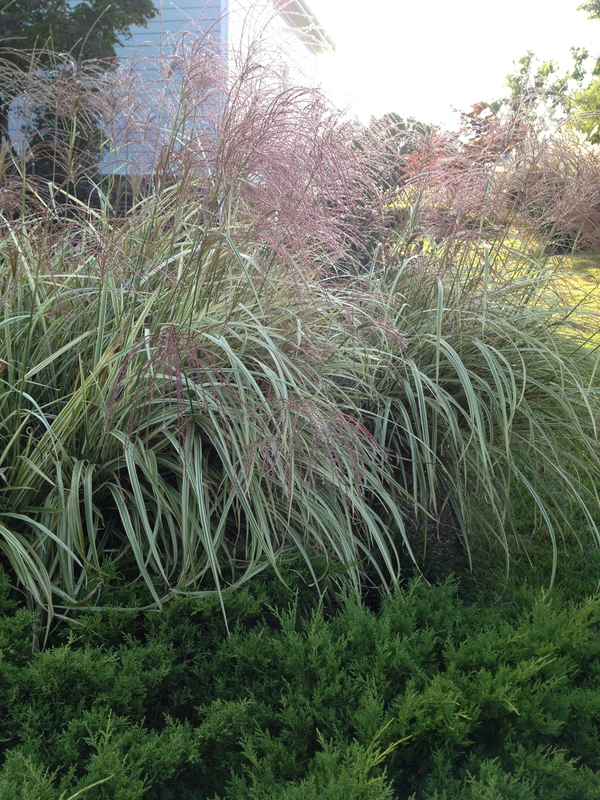 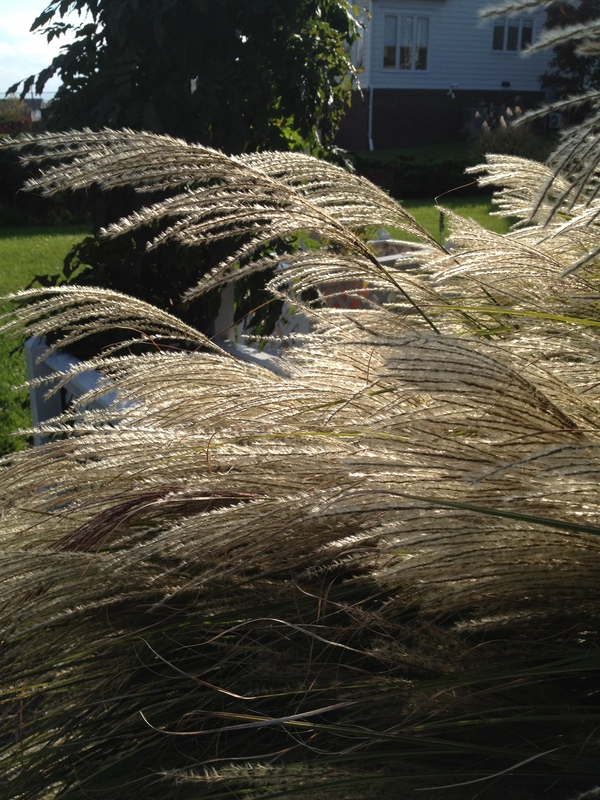 Variegated grasses- the plumes are a pink color which fades to white. 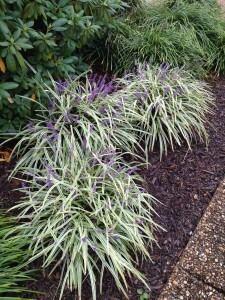 Liriope, both variegated and solid colored have purple spikes of flowers in early Autumn, then turning to seedpods. 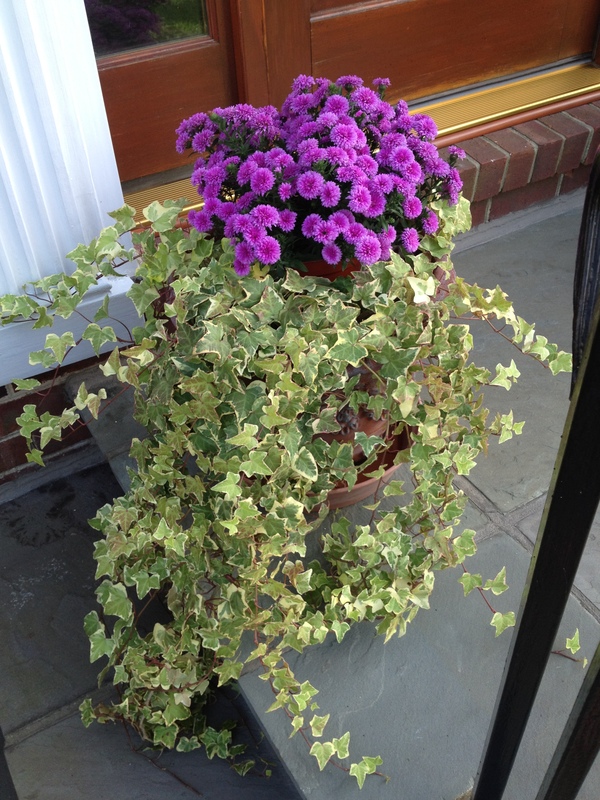 These are also an easy plant to split and create many new plants. 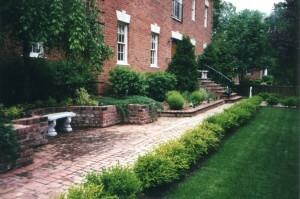 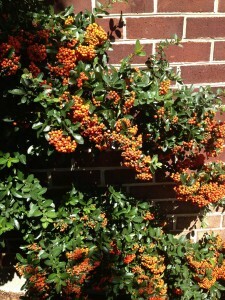 There is nothing like a beautiful hedge of boxwood to help set off showy flowers, or just to create structure. 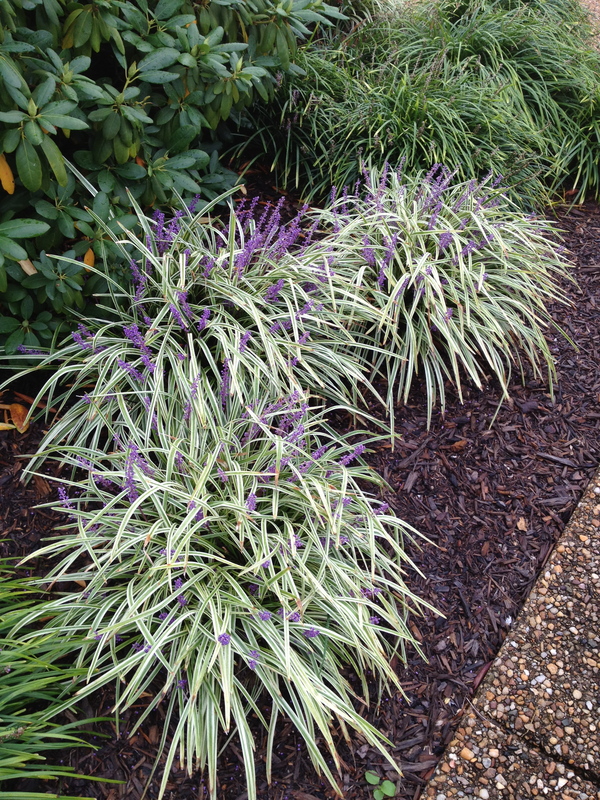 One of the all time best foundation plants too! 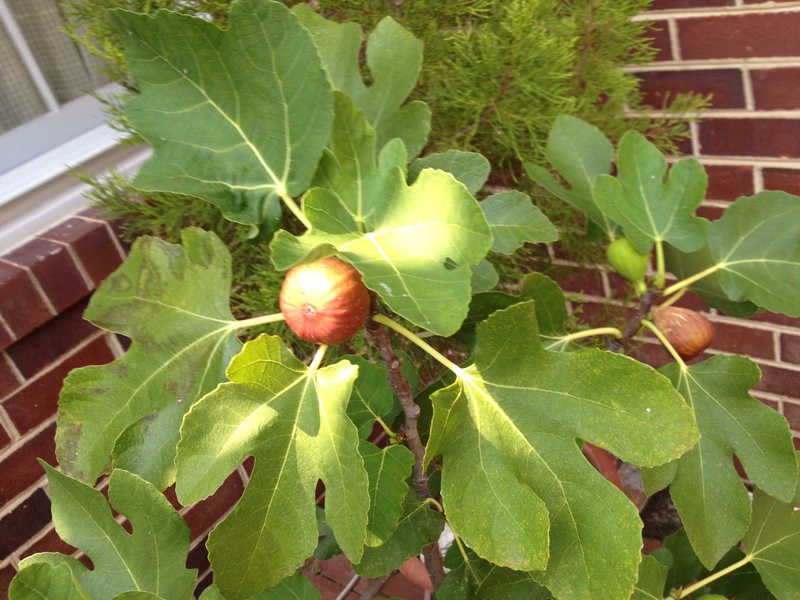 Early Autumn is when the figs ripen to perfection! 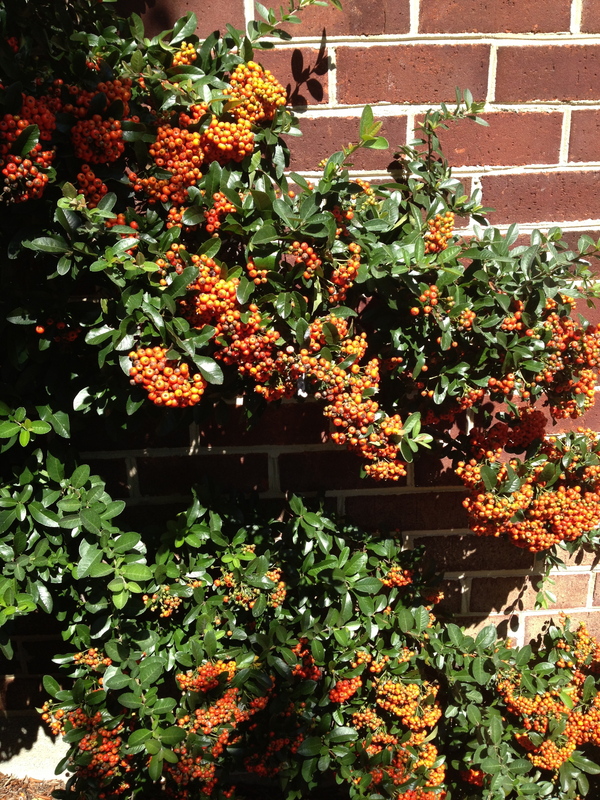 A star of the show is always the pyracantha, with it’s gorgeous cascades of orange berries. 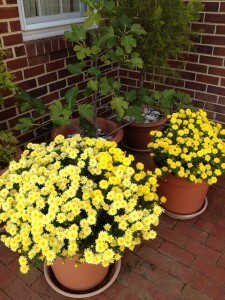 A main staple is always a few mums to add some splashy color. 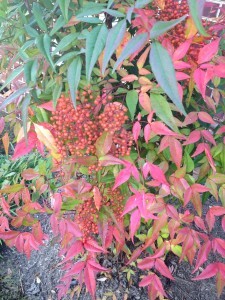 Nandina is always a favorite of mine with it’s berries and incredible multicolored foliage. 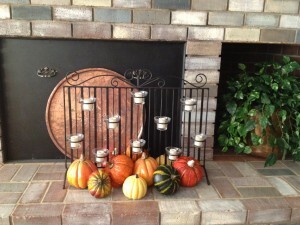 And don’t forget some pumpkins for the hearth- from our house to yours- Happy Autumn!